Bitcoin Diamond is a fork from Bitcoin with the purpose of providing better privacy and improved mining decentralization through a changed mining algorithm. 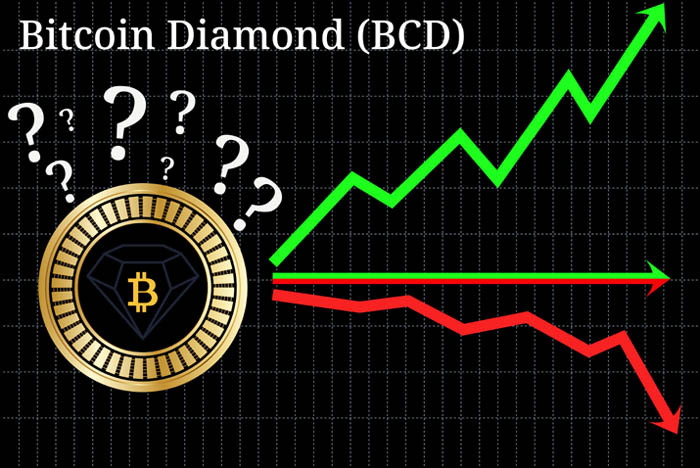 The ticker for Bitcoin Diamond is BCD, and the maximum block size is 8MB. BCD encrypts the amount transacted and has increased the supply by factor 10, so total supply is 210 million. Block time is 10 minutes, and a difficulty adjustment occurs roughly every two weeks. Can Bitcoin Diamond be mined? What differs Bitcoin Diamond from other Cryptocurrencies? How much is Bitcoin Diamond worth today? Where can you buy BCD? Can BCD be sold for cash? Bitcoin Diamond forked from Bitcoin at block height 495866 (~24. November 2017). Everyone that possessed BTC at the date of the fork was given 10 BCD via airdrop. Developers and initiators are anonymous. Yes, Bitcoin Diamond is based on Proof-of-Work. The mining algorithm is X13. Bitcoin Diamond plans to switch to Proof-of-Stake shortly. The main difference in comparison to BTC is that Bitcoin Diamond multiplied the supply by 10 to make it more accessible. And BCD allows for a maximum block size of 8MB. The maximum supply of BCD is 210 000 000, the total supply is 156 560 875 BCD and the circulating supply at the time of writing is 153 560 875 BCD. You can buy BCD on several cryptocurrency exchanges, most notably Binance, Huobi, and OKEx. You can sell BCD for cash on several cryptocurrency exchanges that have fiat-pairings, most notably Coinnest (not recommended) and indodax (not recommended). BCD plans to integrate SegWit and aim to switch to Proof-of-Stake as a consensus mechanism. Another useless Bitcoin fork backed by anonymous developers. They claim to make BTC better; this couldn’t be further away from reality. 8MB blocks, for example, highly favor mining centralization. I expect this thing to be dead and disappeared by the end of the year.